Sealed Cloud Technology - What ist Sealed Cloud? Home / Sealed Cloud Technology / What is Sealed Cloud? What is Sealed Cloud Technology? content AND metadata, i.e. connection data, remain protected during processing. Unlike conventional cloud service providers, who protect online data by merely combining organizational and technical measures, Sealed Cloud technology goes further: It also replaces organizational measures with technical ones. Only the user can access his/her own data. Service provider & administrative staff access excluded technically! Your data is not only stored confidentially. It is also processed confidentially. 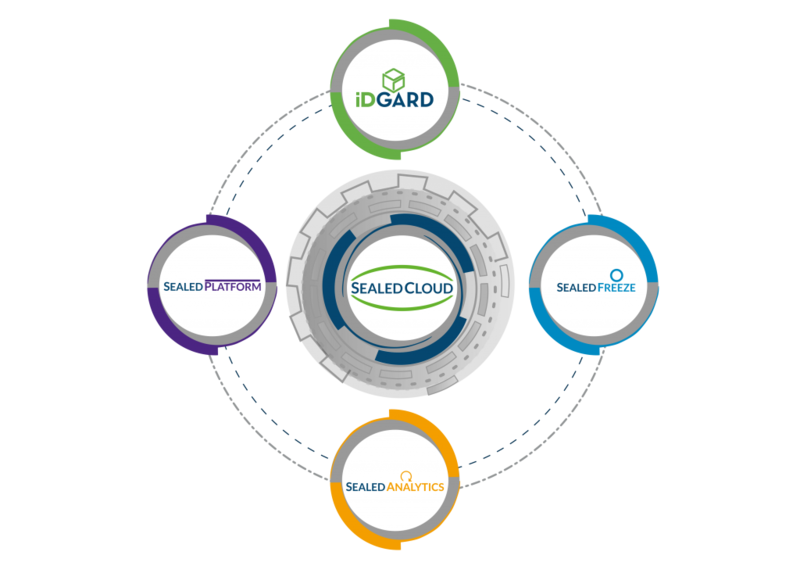 Basing your applications on Sealed Cloud technology allows you to offer maximum-security solutions. What’s more, you also automatically comply with privacy law when storing and processing confidential data. Groundbreaking Sealed Cloud technology represents a quantum leap in cloud security. It provides all the benefits of cloud computing, such as scalability and full flexibility, yet without compromising security. This eliminates reservations organizations may have versus public clouds. Even parties obliged to professional and special official secrecy as per € 203 StGB of the German Criminal Code (e.g. 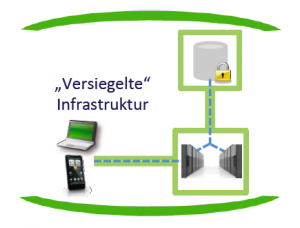 doctors, lawyers, and public authorities) can store and process data via Sealed Cloud.n. For the first time ever, a security – data privacy combination ensures maximum security of business critical applications processed, to date, in own data centers or avoided altogether because of high maintenance costs. In a competition initiated by the German Federal Ministry for Economic Affairs and Energy( BMWi), our Sealed Cloud team outplayed 116 other contestants. As a result, the Government supports the technology’s further R&D for broad-based application in German industry. Its objective is to provide organizations a cloud platform combining business-internal data center security and public cloud benefits alike. What Makes Sealed Cloud So Unique? All application servers are in electromechanically sealed racks. The application servers dispose of volatile (clean-up area) memory only. Before internal staff or external spies can access a server, all unencrypted data is deleted irrevocably. The OS is additionally hardened and blocks all external access. The OS reports status information from within yet accepts no orders from outside. Want to reap the benefits of Sealed Cloud for safe teamwork? Try our online memory & data room service iDGARD!